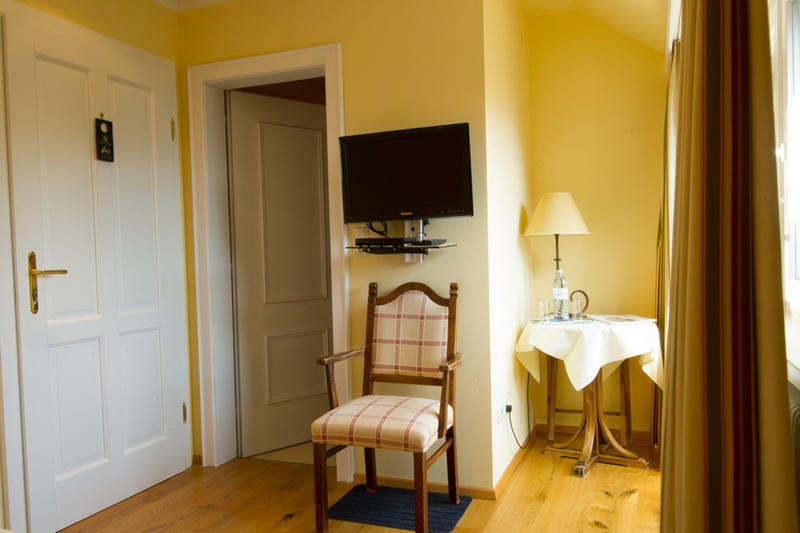 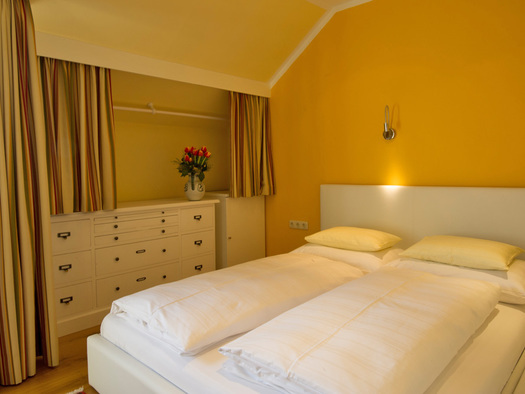 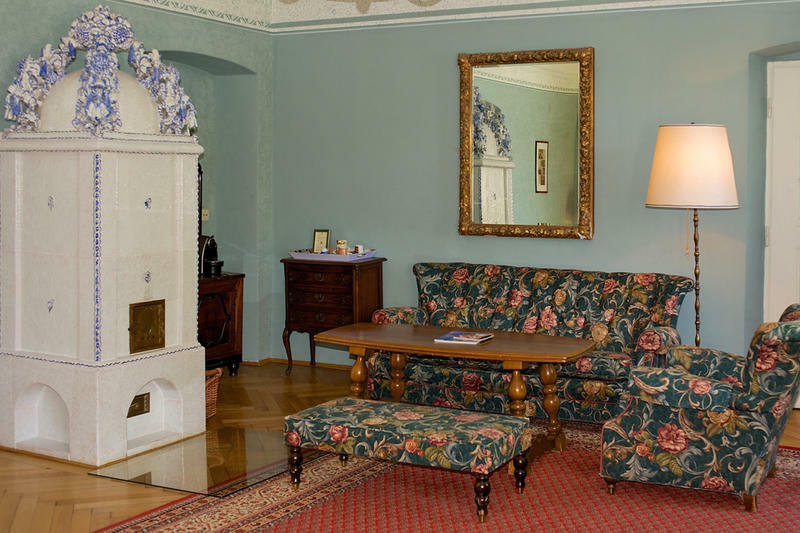 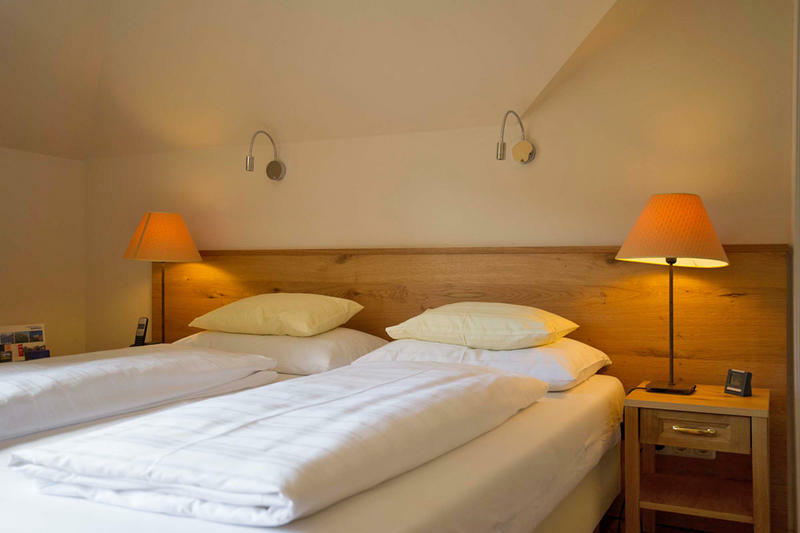 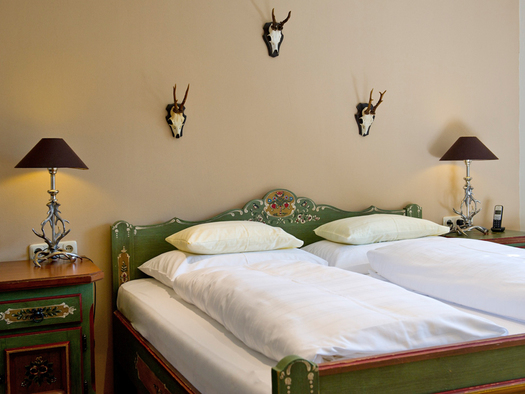 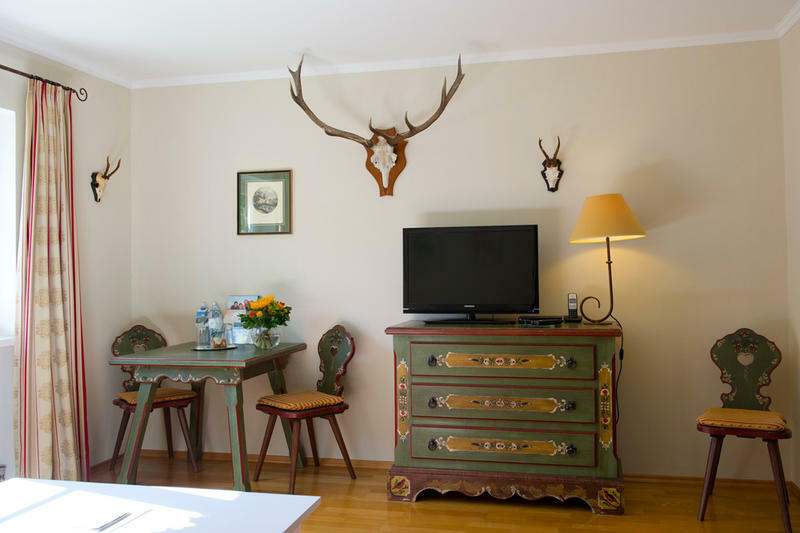 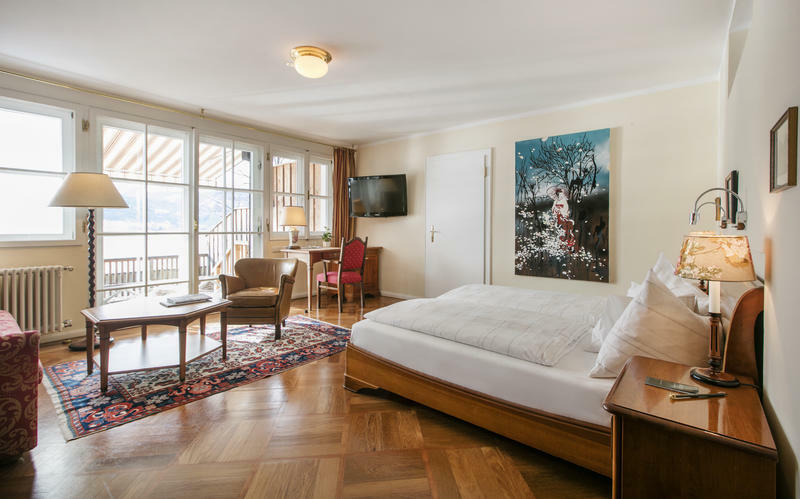 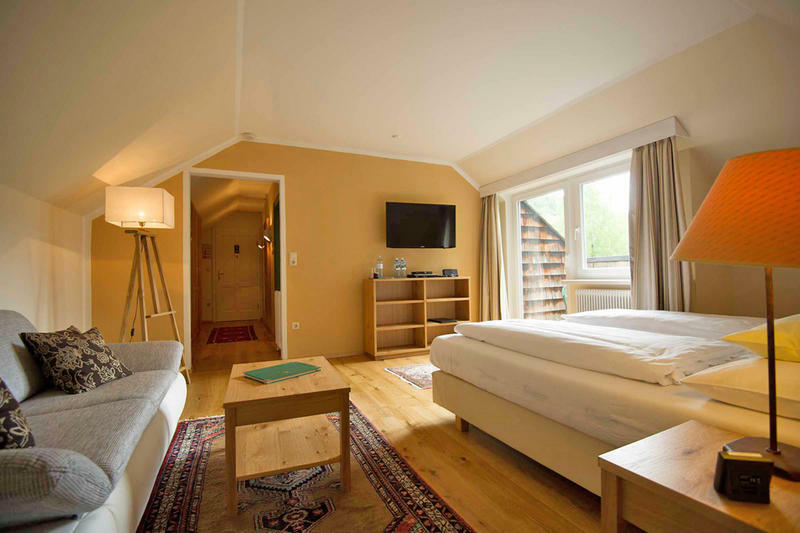 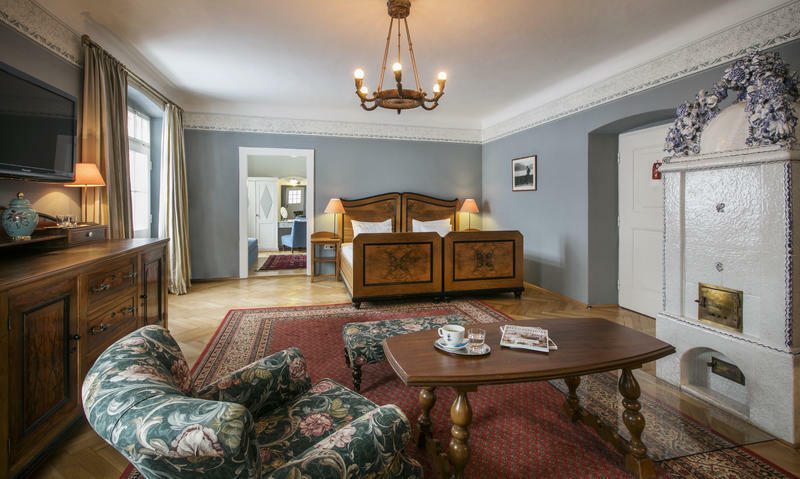 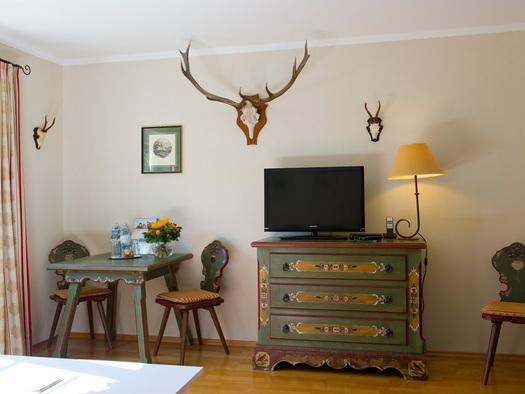 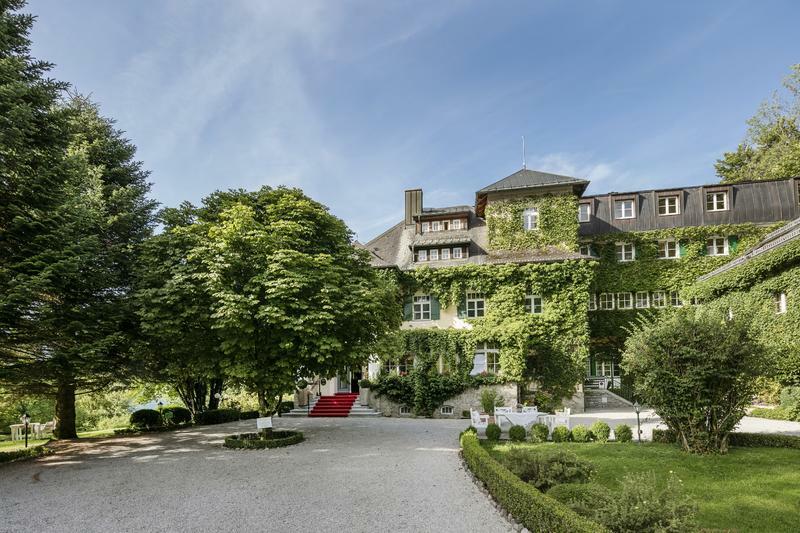 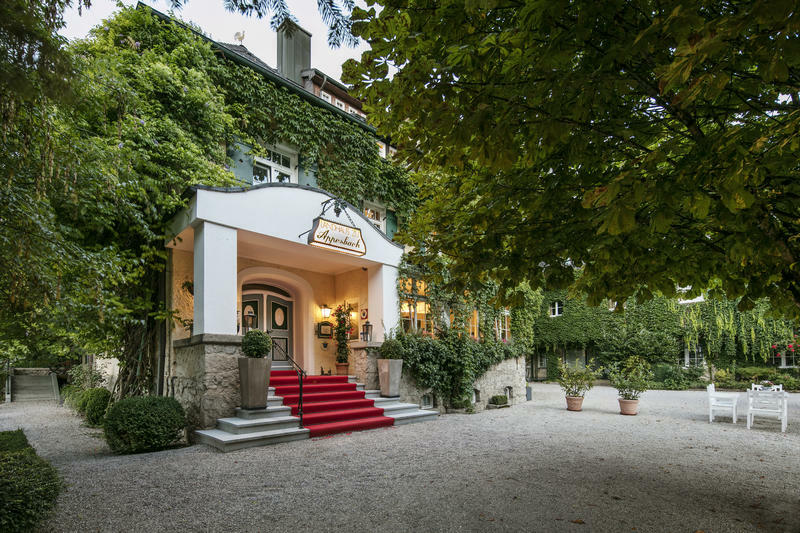 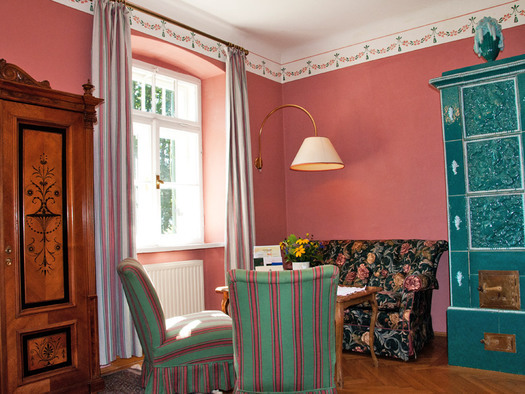 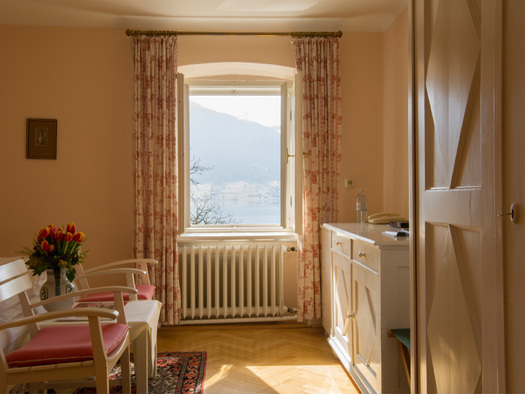 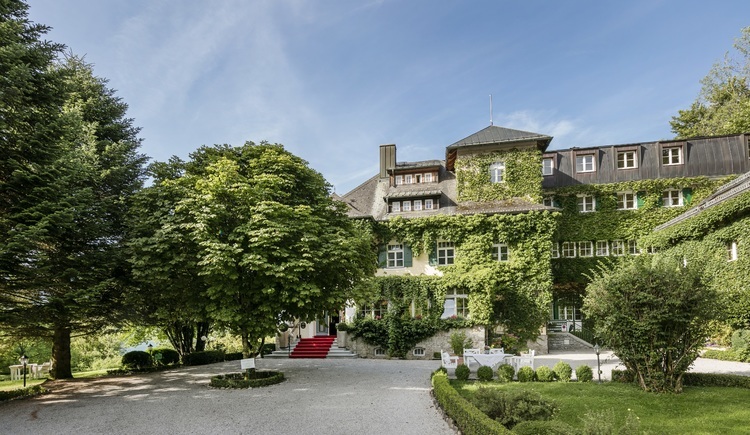 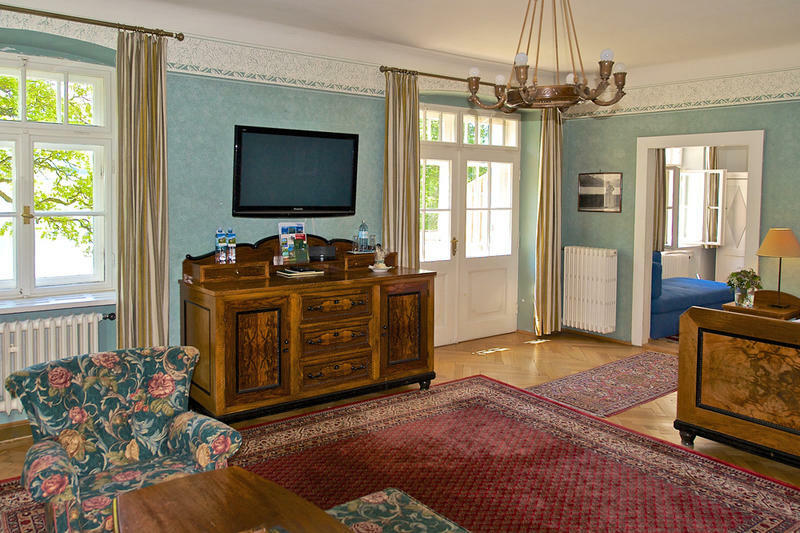 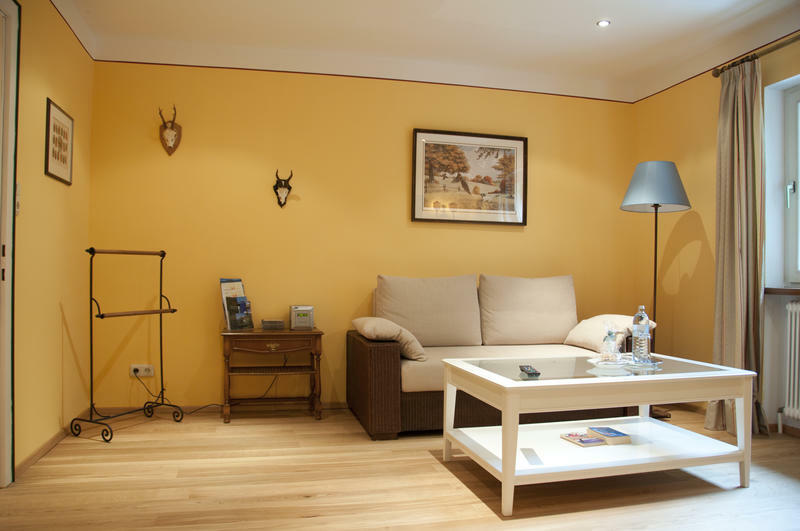 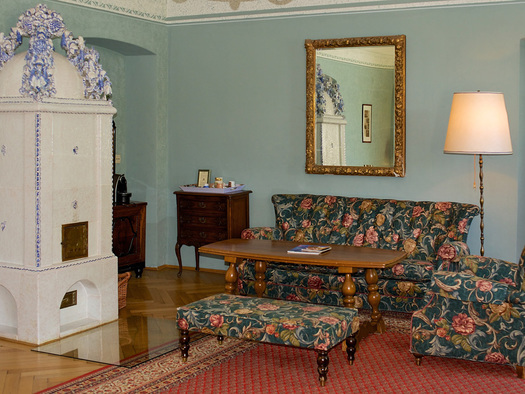 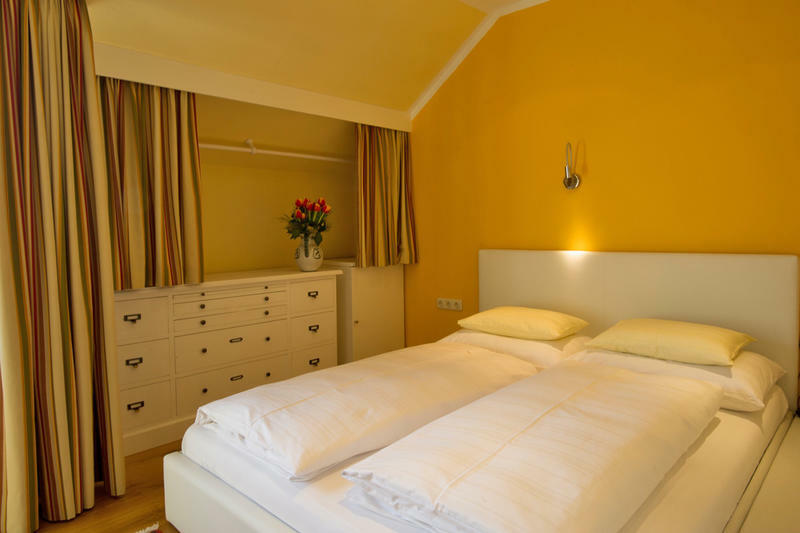 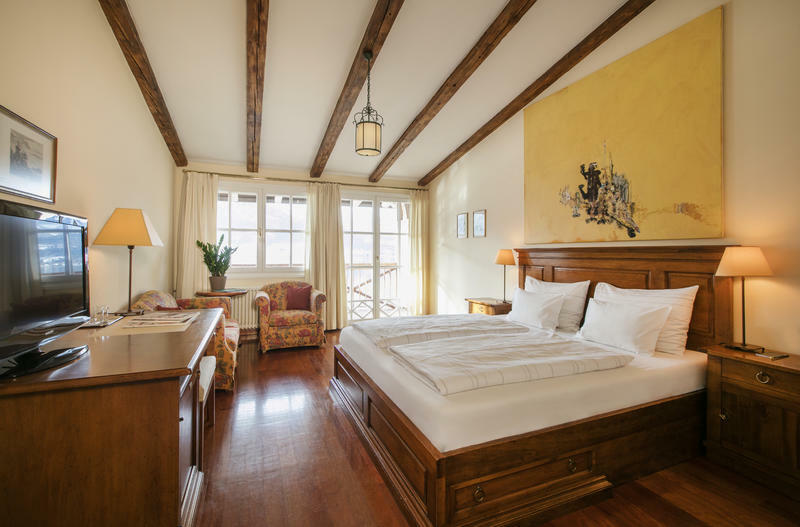 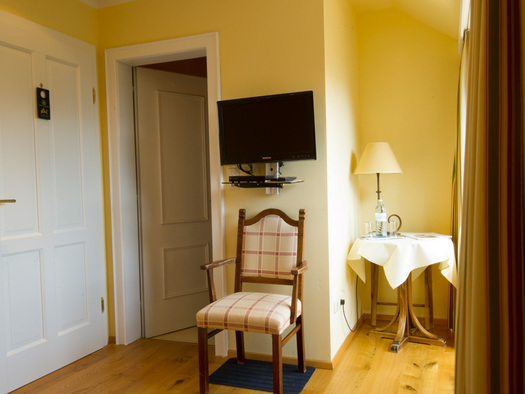 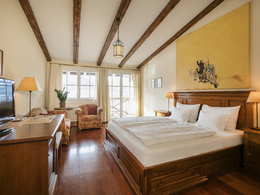 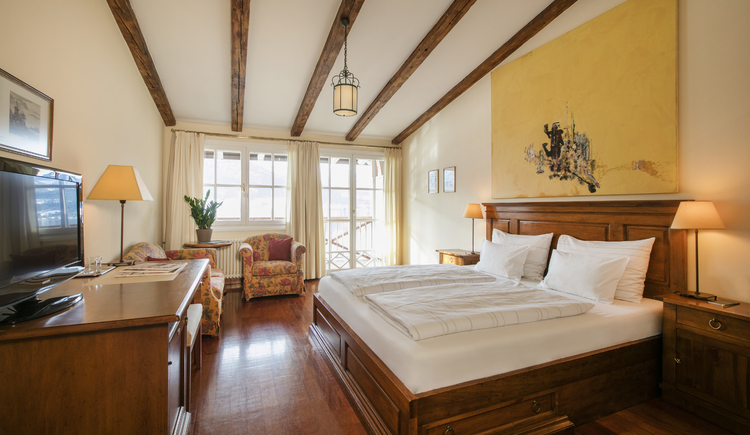 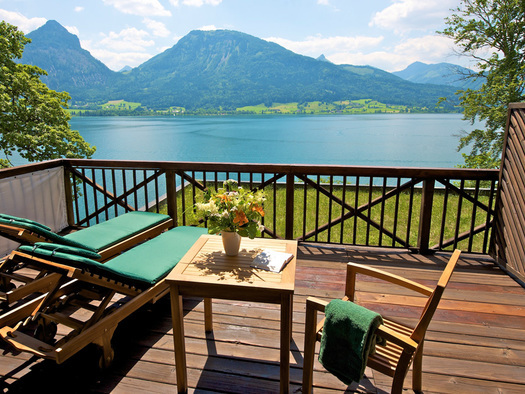 A warm welcome to the Landhaus zu Appesbach, the lakeside Manor House! 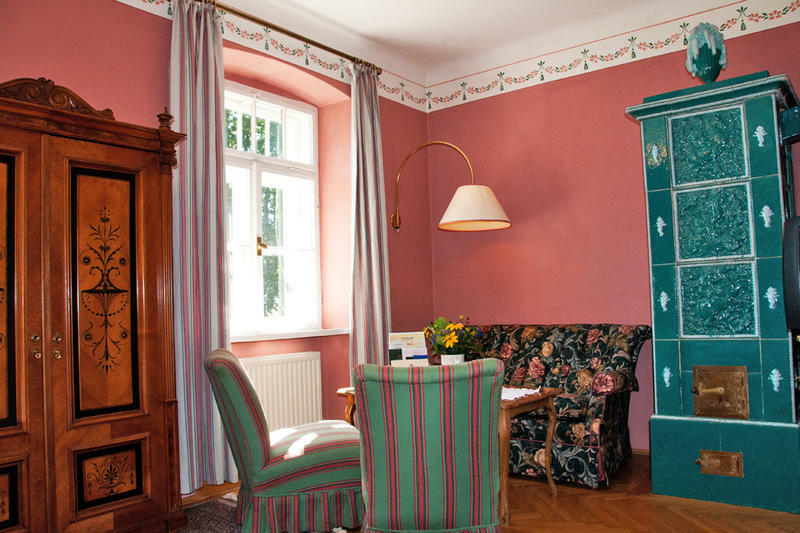 Coming from Munich/Salzburg Highway - stay on the A1 direction Vienna until exit Thalgau. 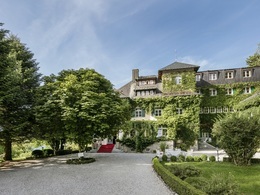 Exit at Thalgau and drive on to the B 158. 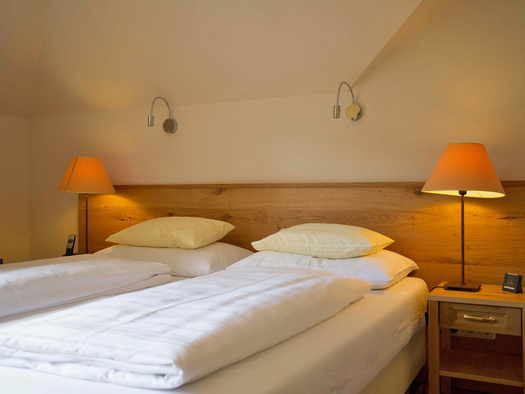 Go east and pass Hof and Fuschl to St. Gilgen. 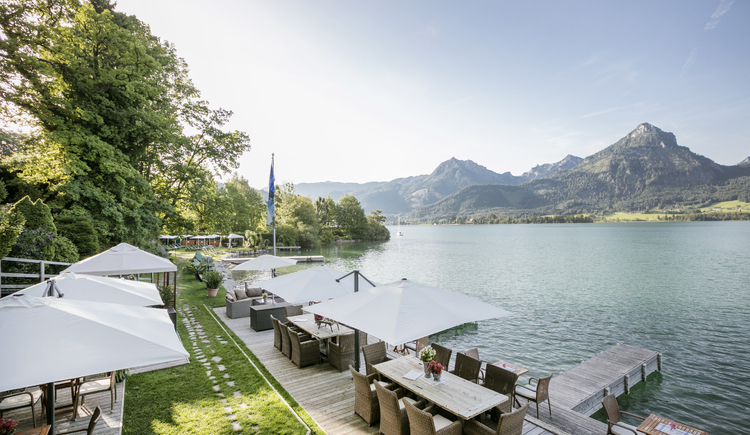 Further along the Lake "Wolfgangsee" to Strobl (our neighbour village). 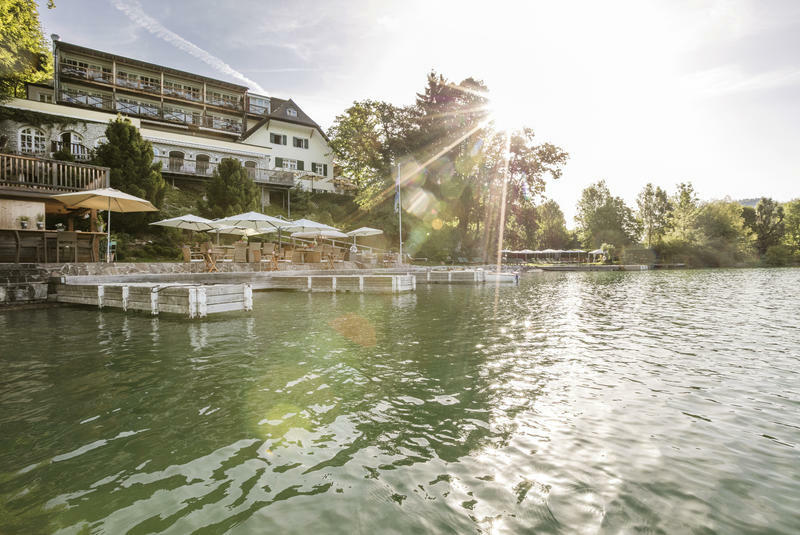 Exit at Strobl direction St. Wolfgang. 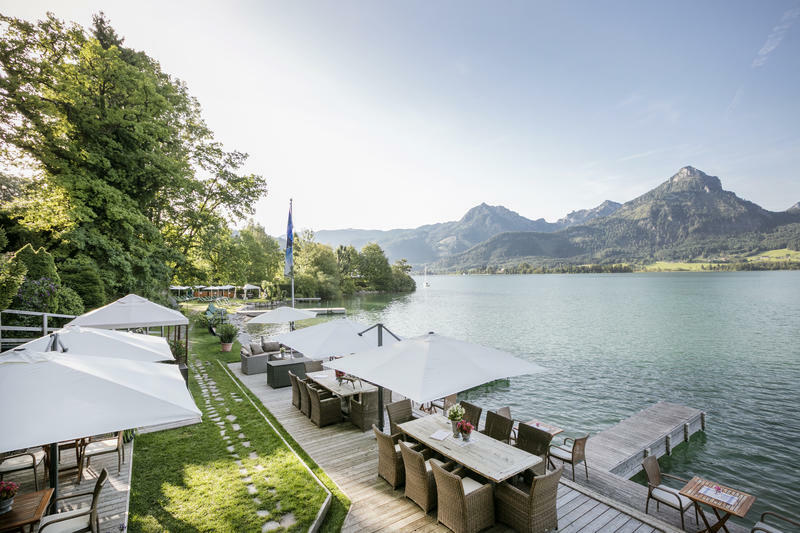 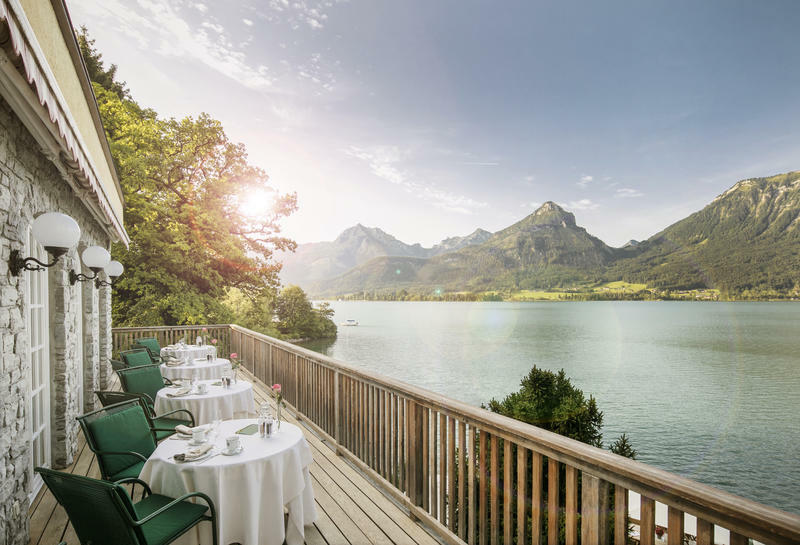 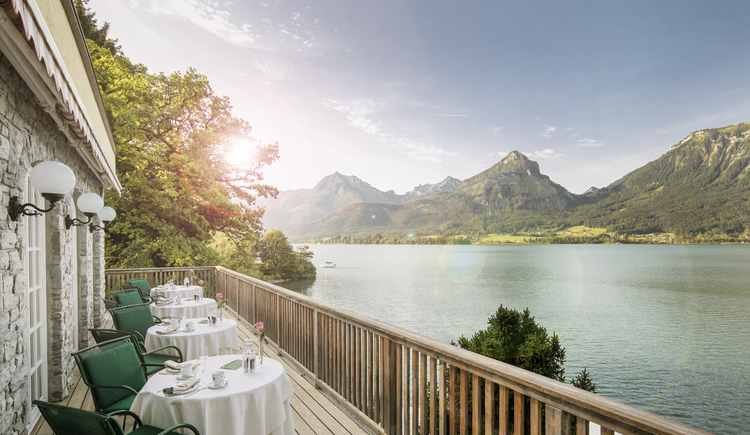 Coming from Vienna we suggest to take the exit Mondsee on the A1 and drive to direction St. Gilgen, from there you follow to Strobl and exit there to St. Wolfgang. 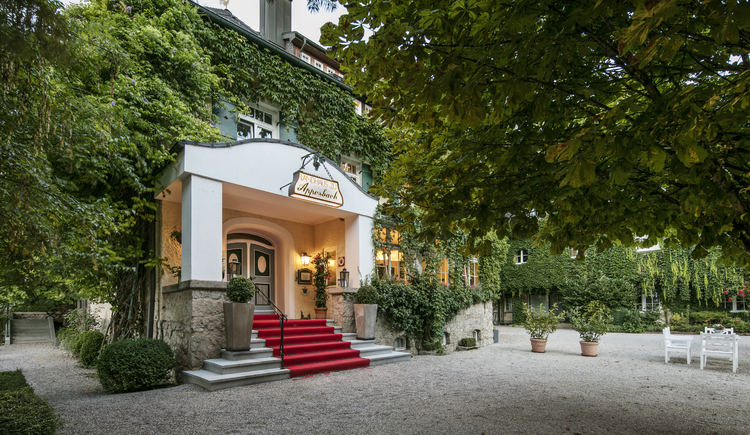 Past the exit Strobl follow the signs to St. Wolfgang - to the Appesbach from this exit it is 4,5 km. 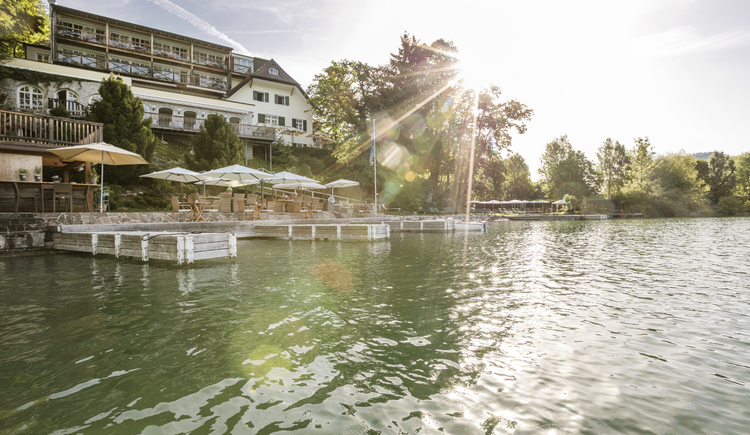 You find us lefthandside in a lakeside park 100 meters after the big camping place. 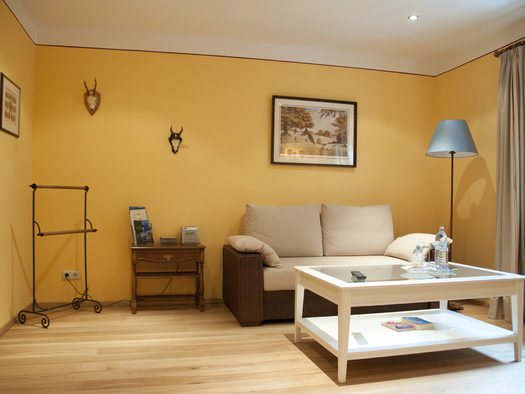 If you have any problem, please call us we will help you immediately. 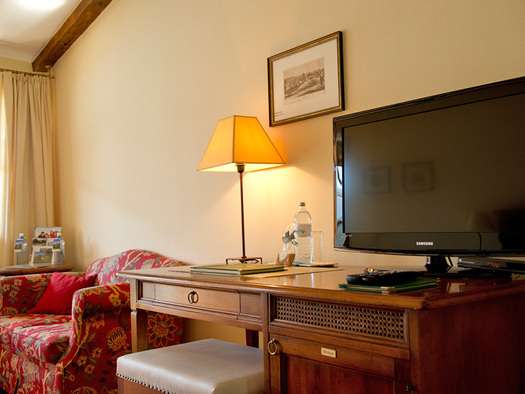 For more information please ask us. 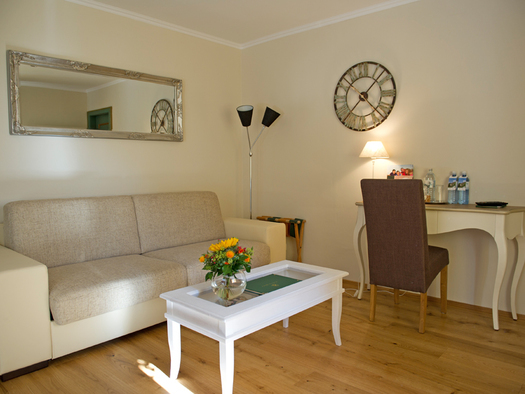 We help you every time! 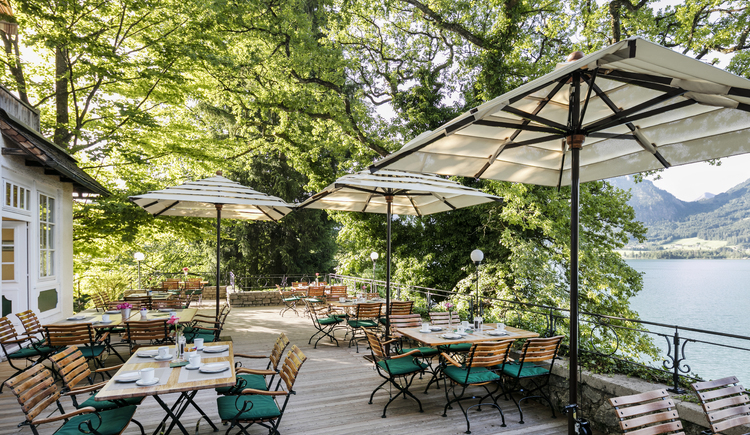 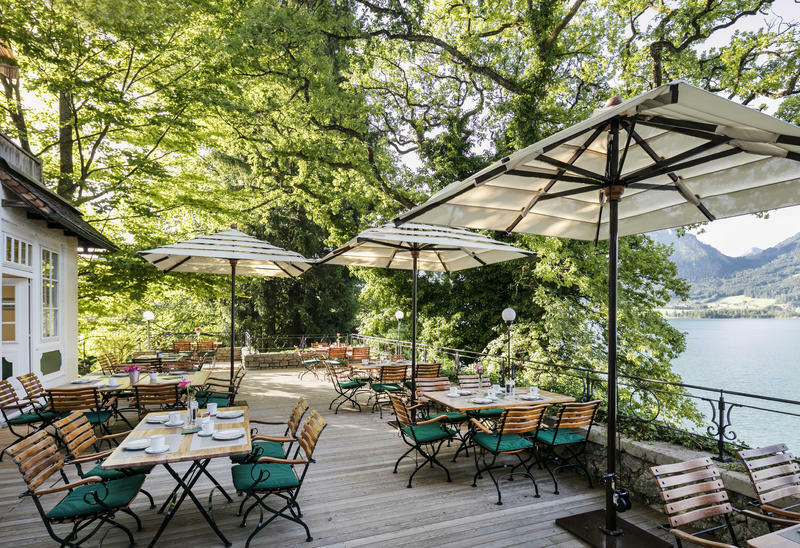 From the small bar and the directly to the lake located restaurant and terrace you have a great view to the lake. 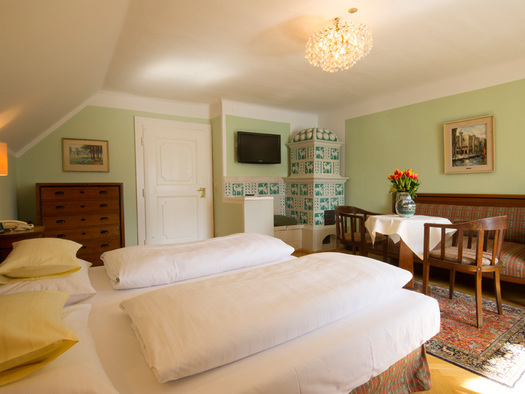 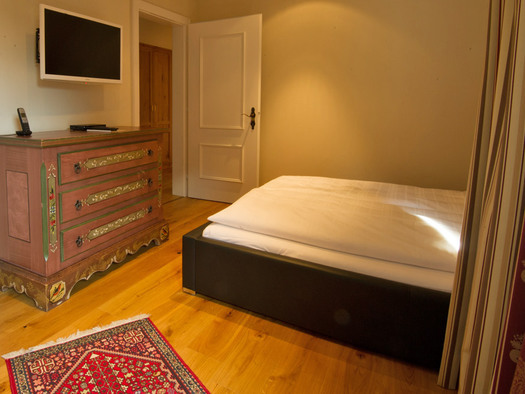 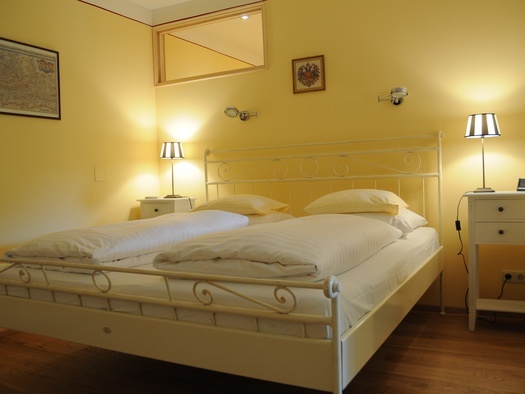 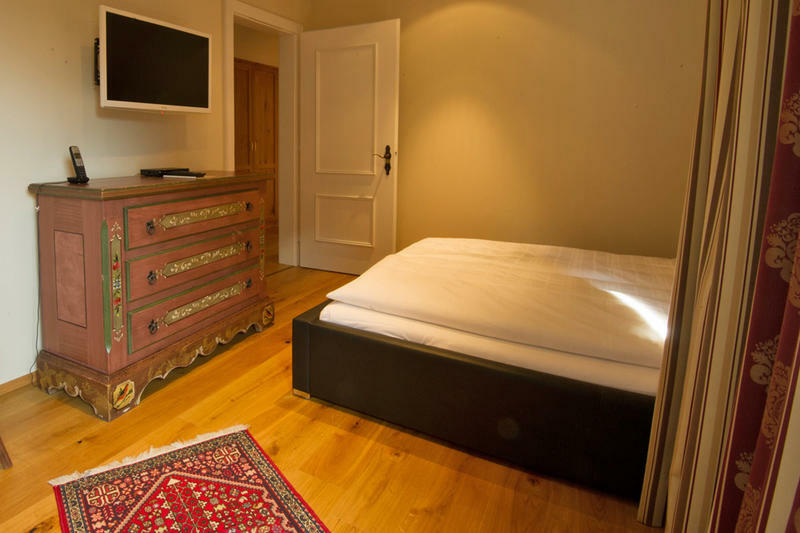 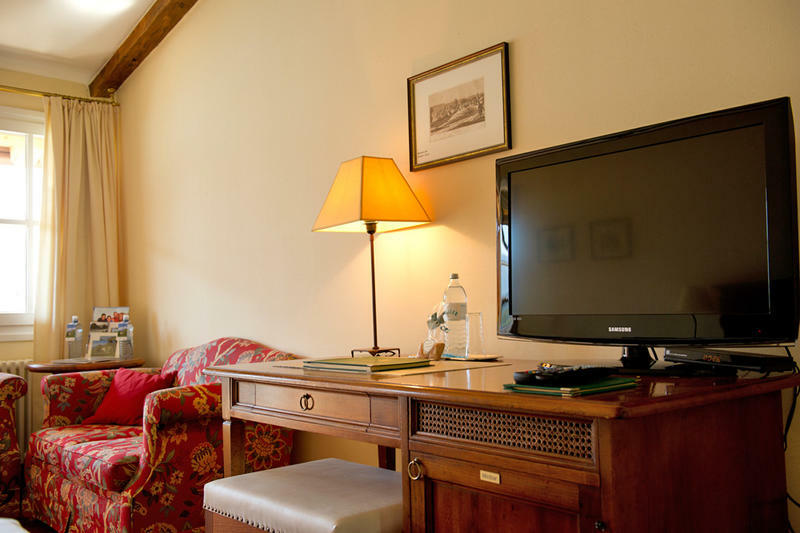 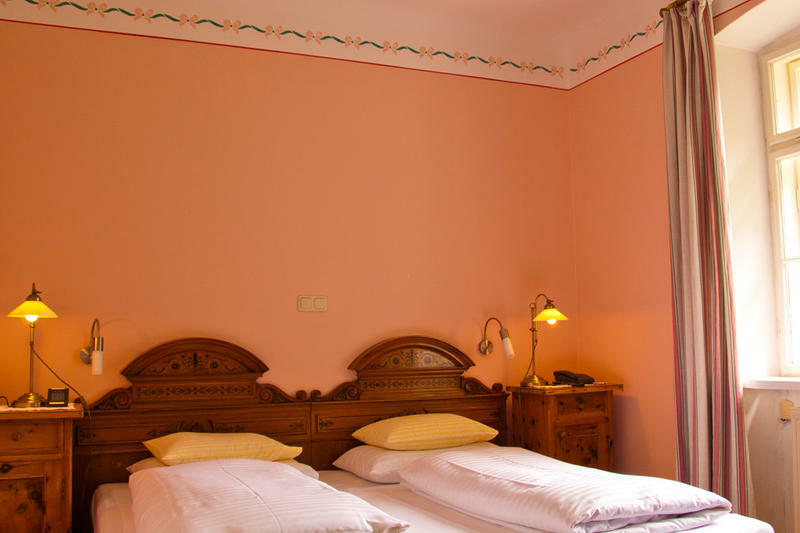 The single rooms are our smallest guest rooms and are primarily for those travelling alone. 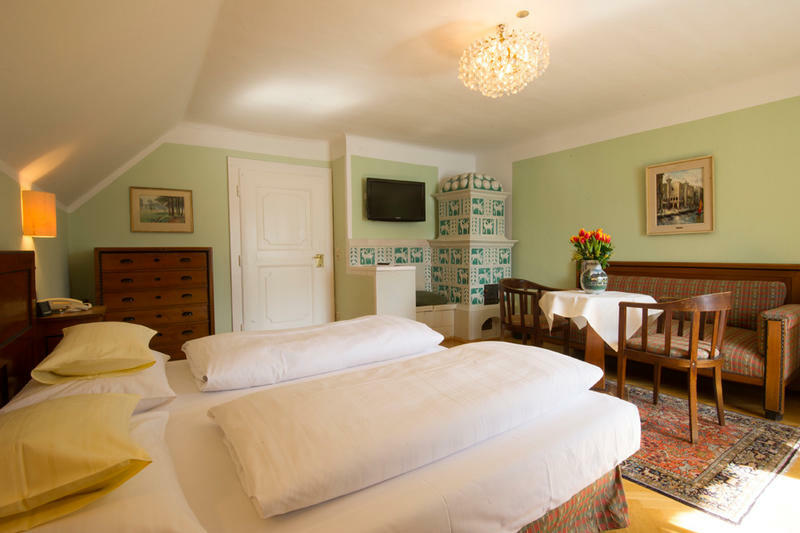 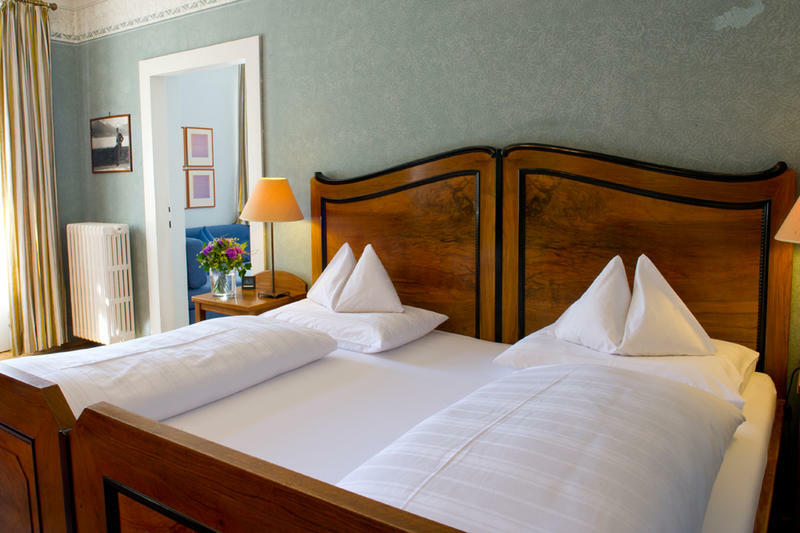 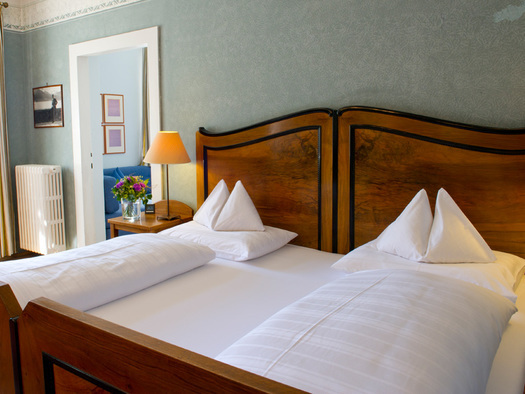 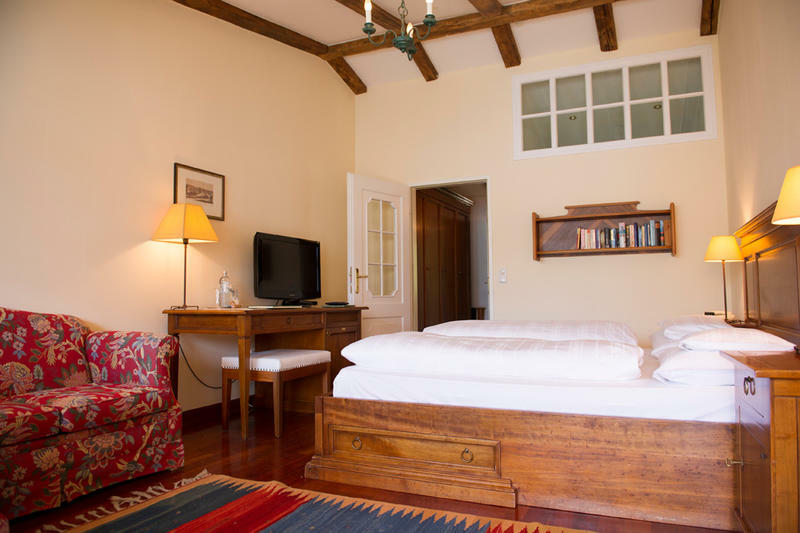 However, they also offer plenty of additional room for 2 children (all rooms have a double bed) or 2 adults if needed (special price upon request). 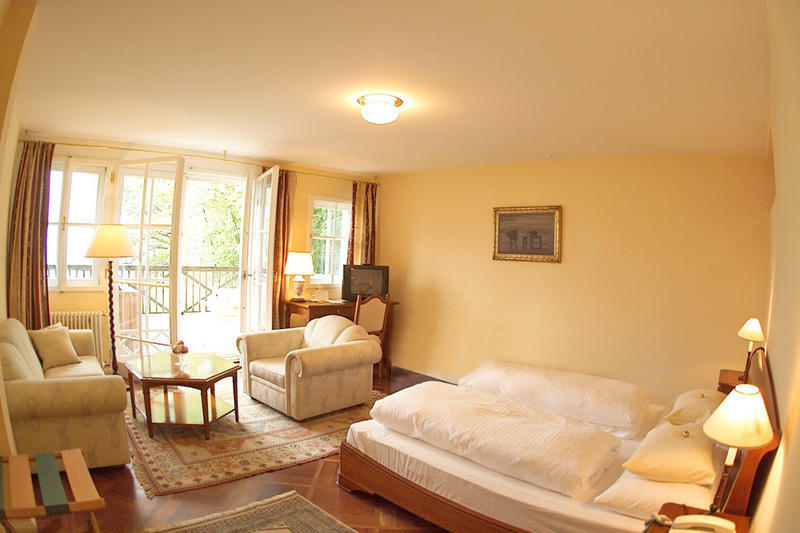 South or southeast-facing double room with a lake view, 3rd person upon request. 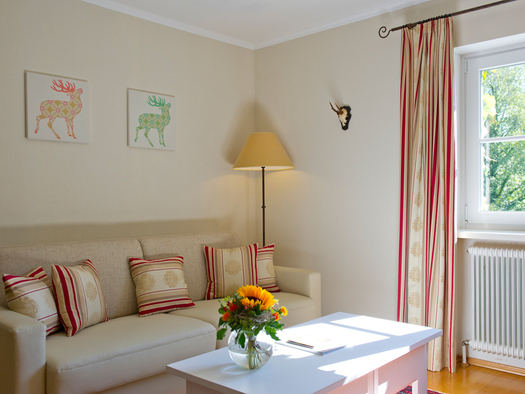 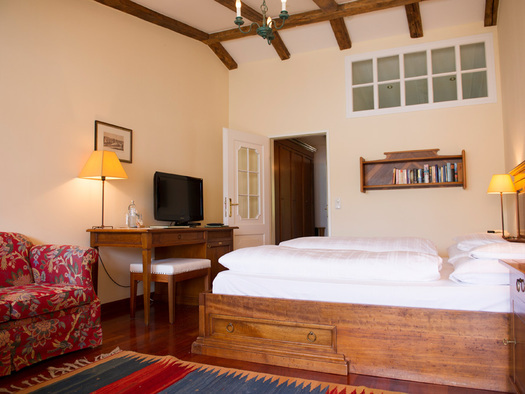 Smaller double rooms decorated in a country house style with shower/WC and view of the grounds! 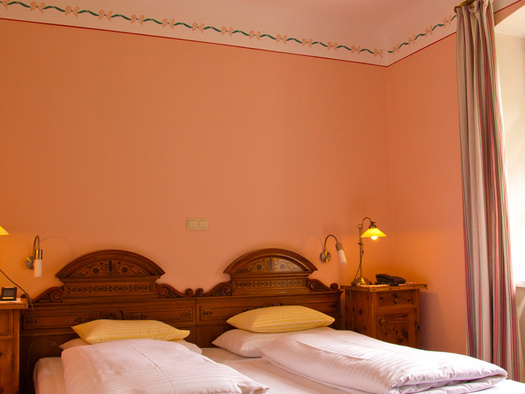 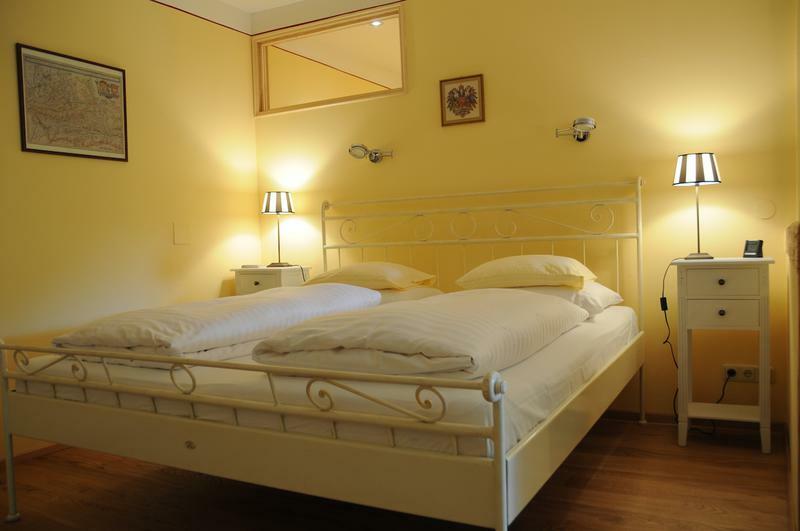 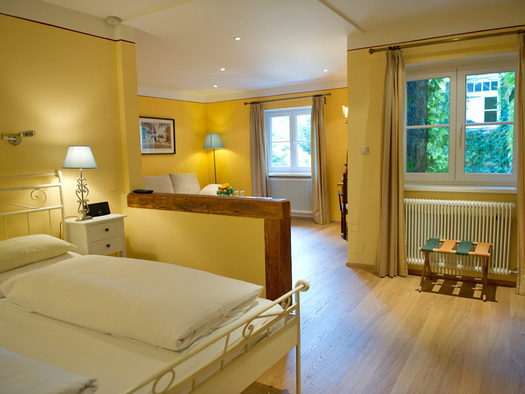 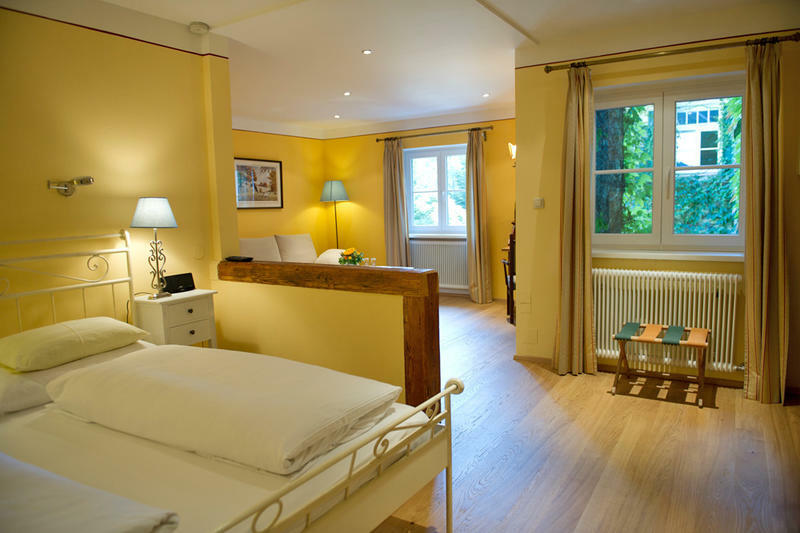 Deluxe double room with roof balcony, spacious lobby and small, separate bedroom for children. 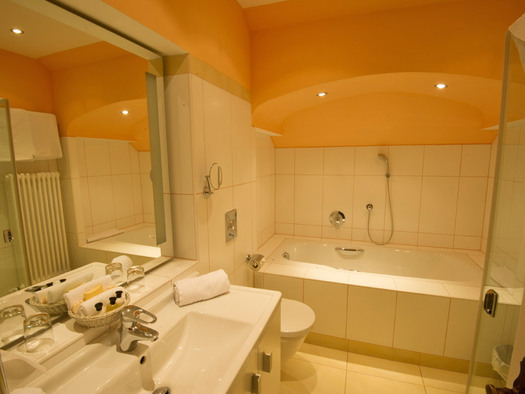 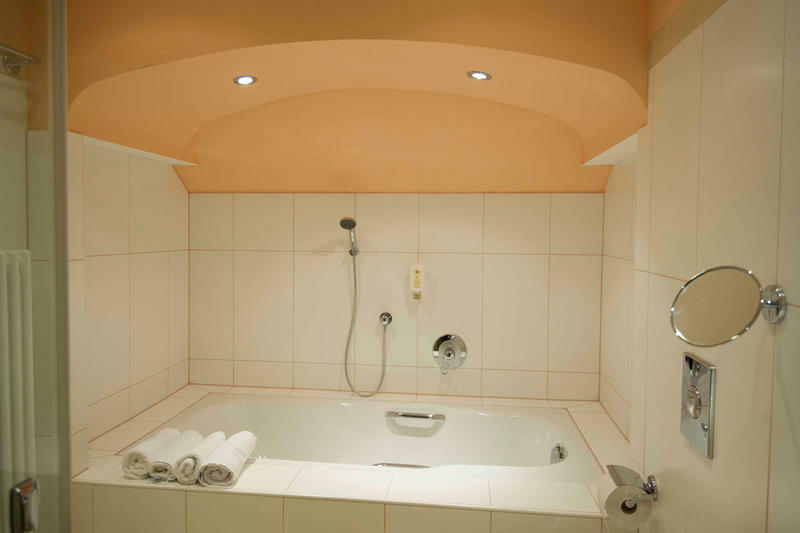 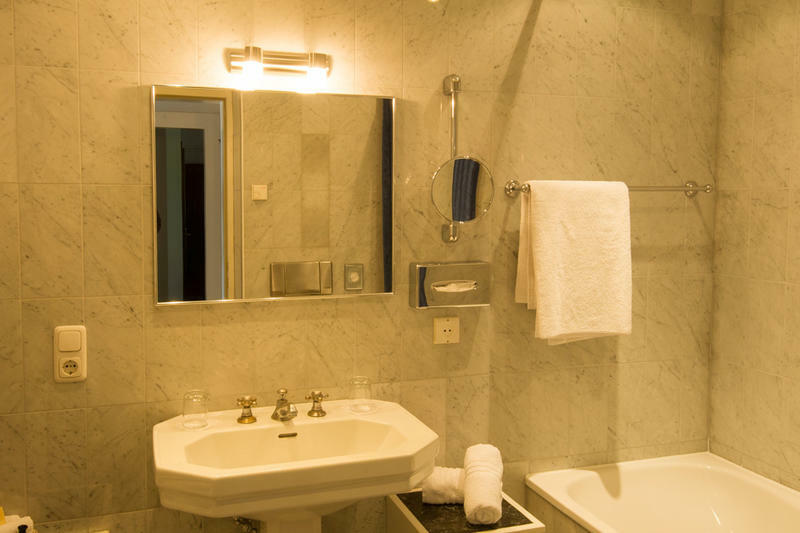 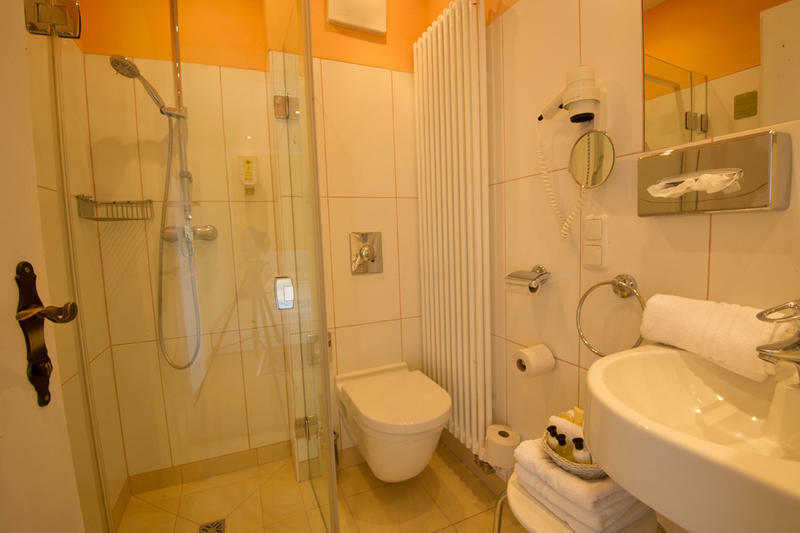 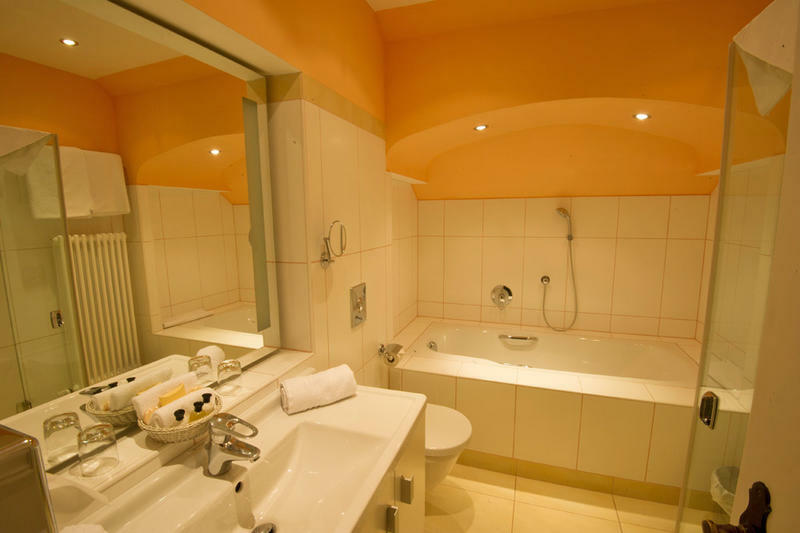 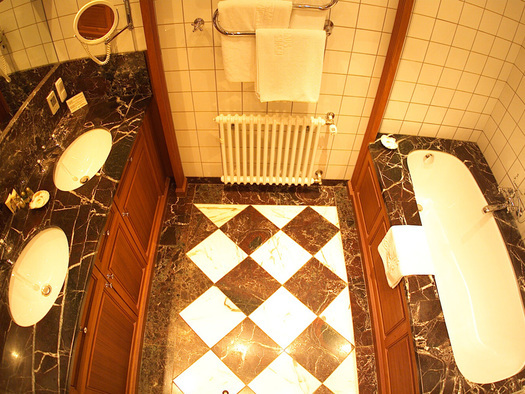 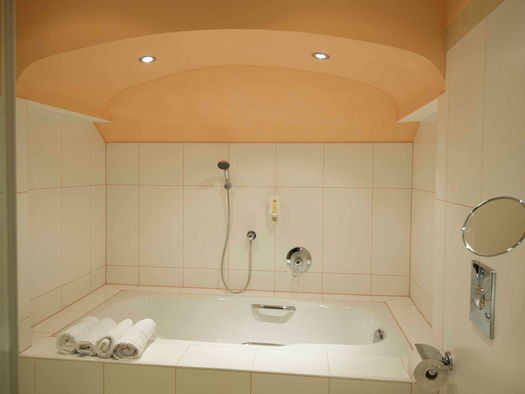 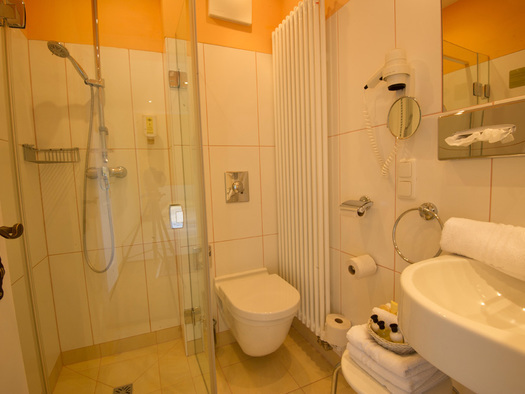 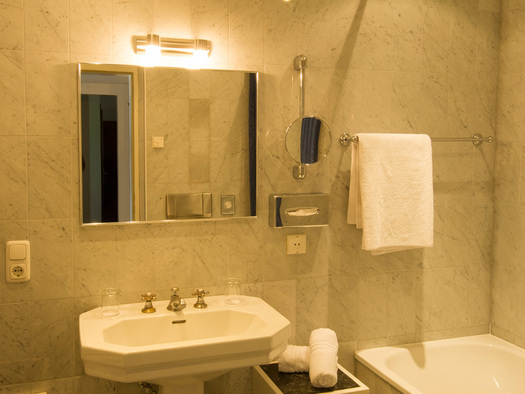 Non-smoking room and large bathroom with extra shower and bath. 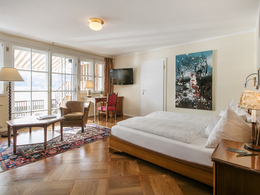 "Panorama Deluxe" double room, south facing with a balcony and lake view. 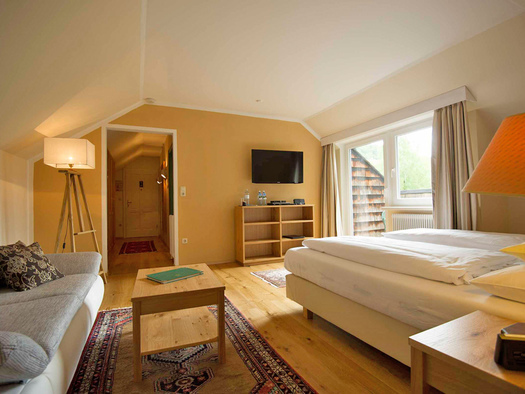 Landhaus Studio with spacious lounge/bedroom and 2 TVs. 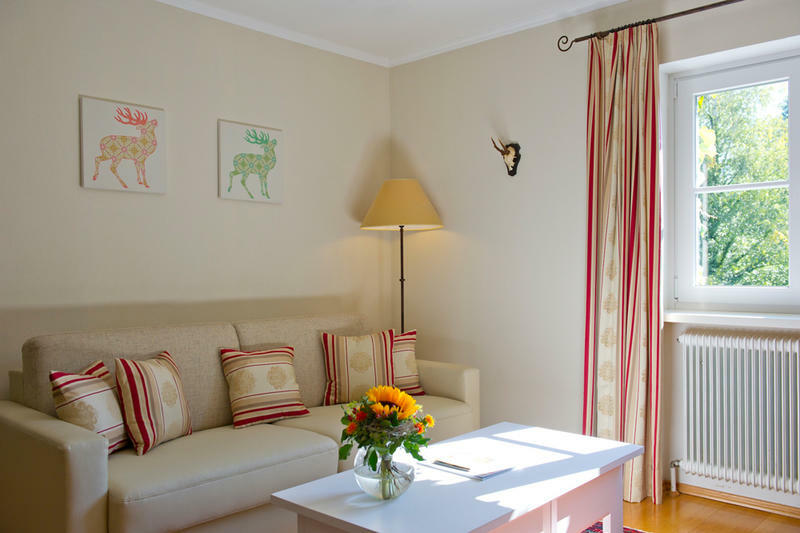 Especially suited to families. 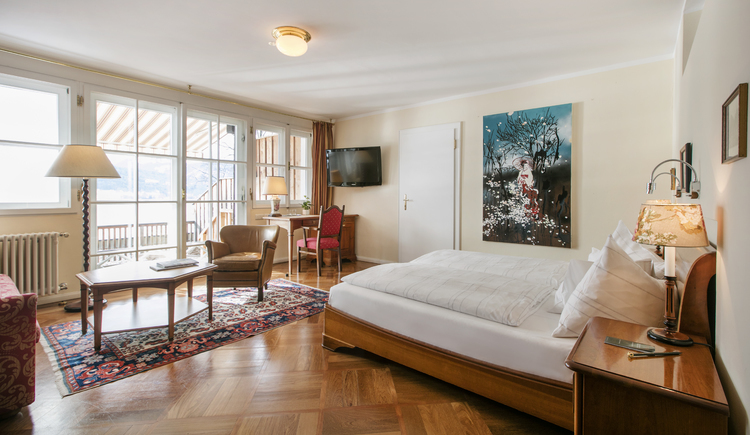 Junior suite with large lounge/bedroom, terrace facing south to the lake and marble bathroom. 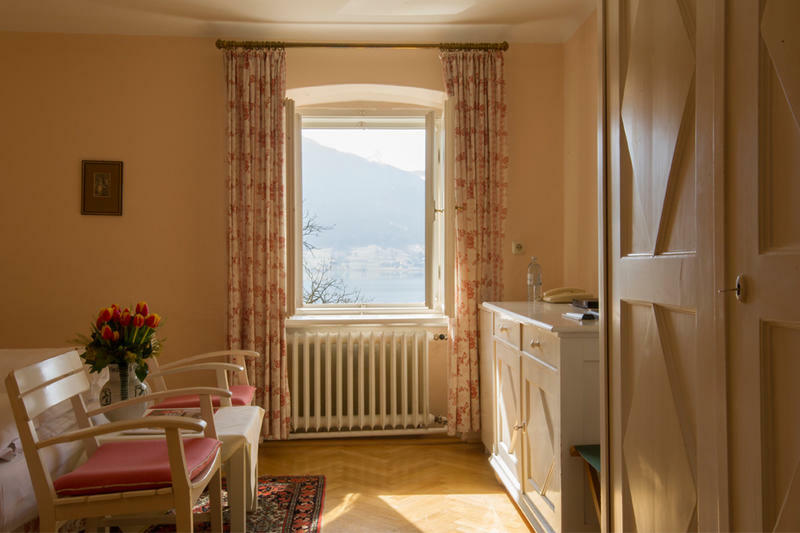 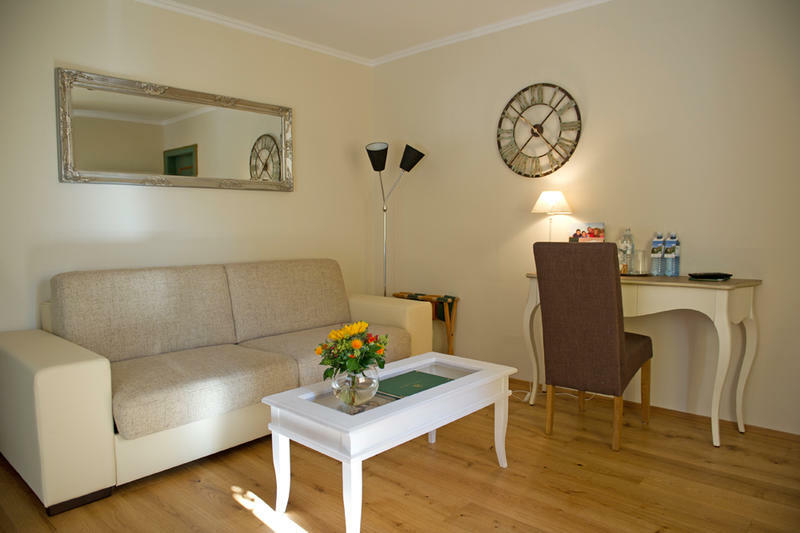 Large studio with panoramic view of the lake, direct access to the apartment from the lift. 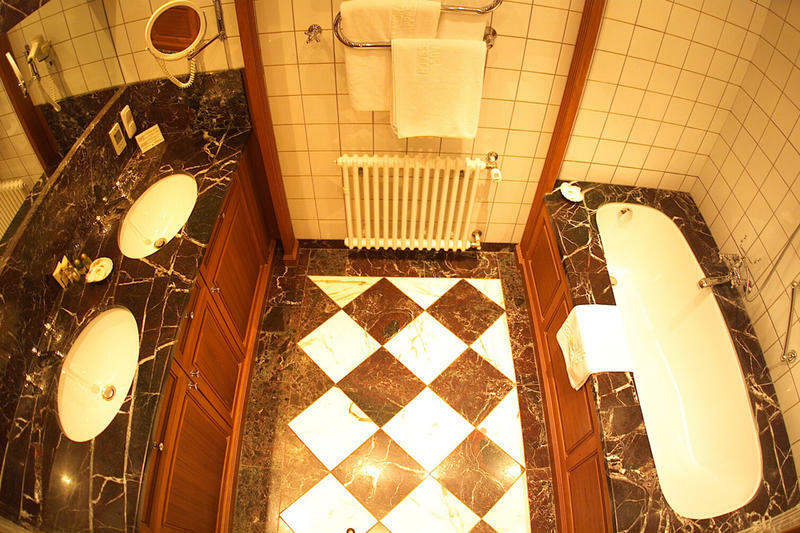 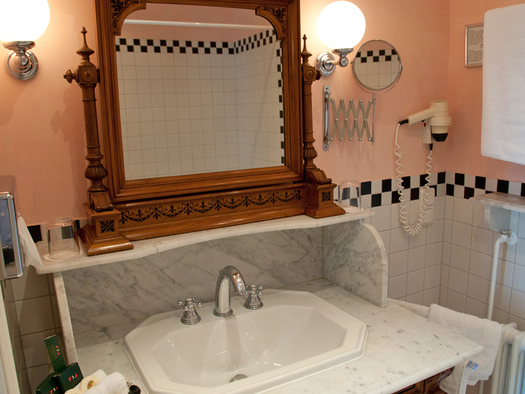 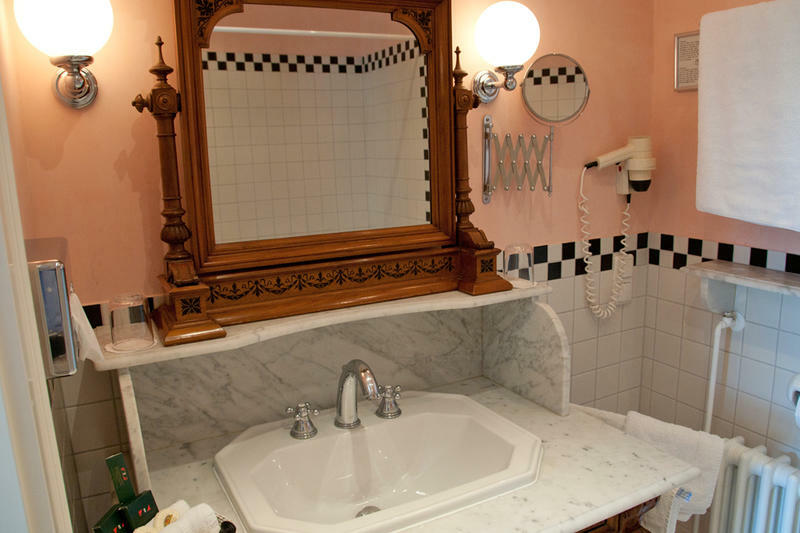 Suite with large lounge/bedroom, dressing room, Roman bath, South and Southeast terrace overlooking the lake. 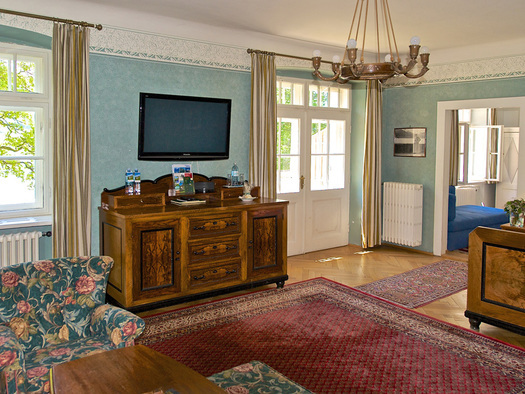 Landhaus Suite with separate lounge and bedroom, lobby and 2 TVs. 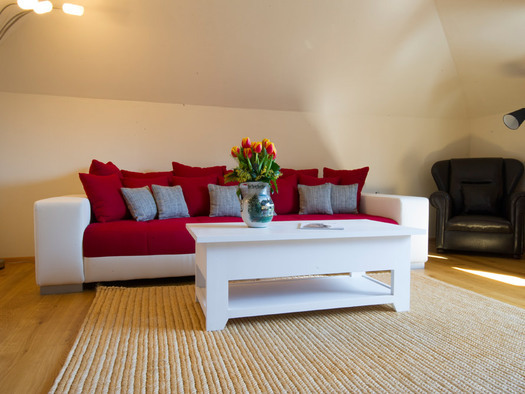 Especially suited to families. 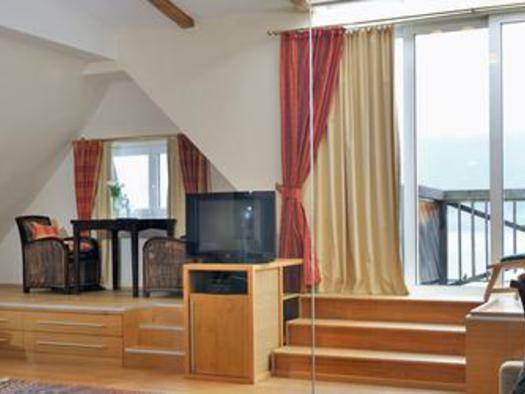 Landhaus Suite with 2 small roof balconies, separate lounge and bedroom, lobby and 2 TVs. 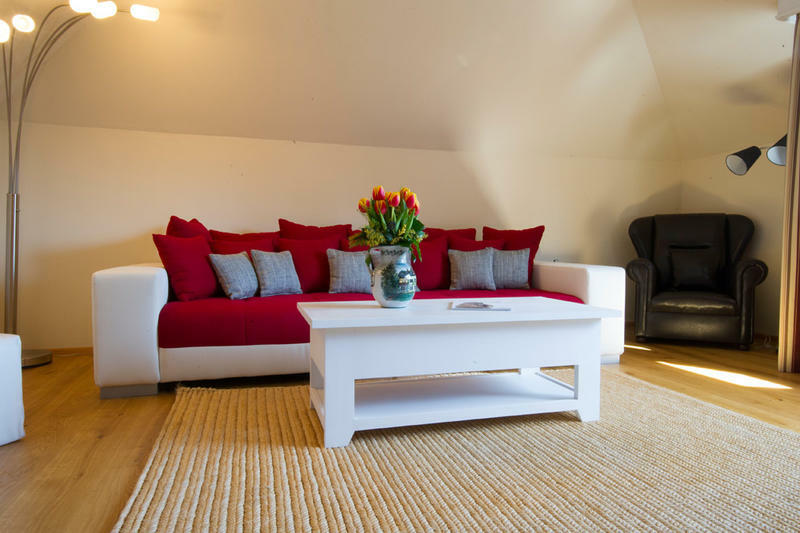 Especially suited to families.